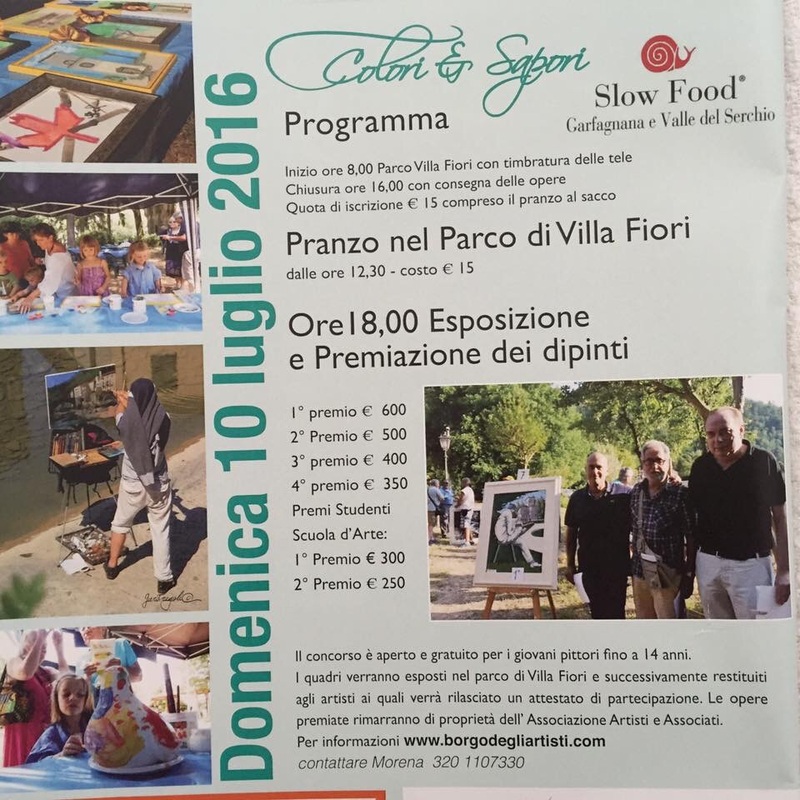 This Sunday Villa Fiori Park at Ponte a Serraglio will be filled with artists for the annual Colori e Sapori. It promises to be a lot of fun, with delicious things to eat. Drop in to see the artists at work and later on to see the winners. 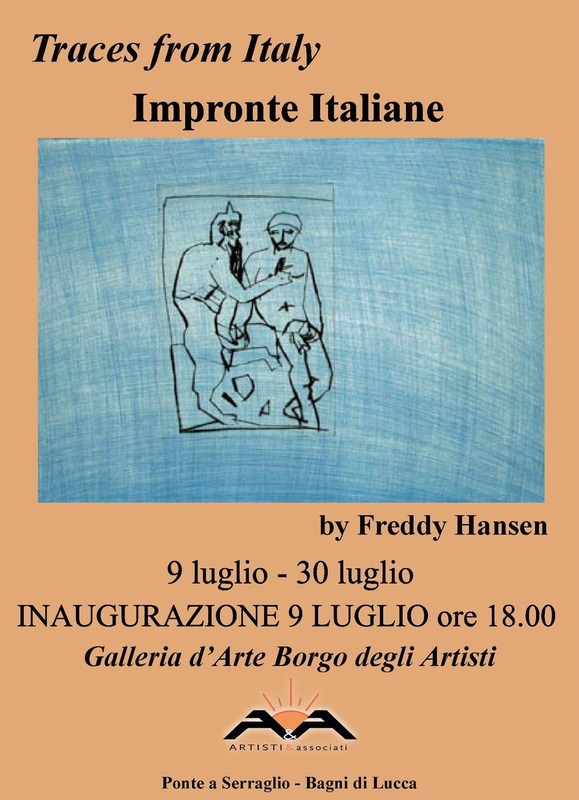 There is also an exhibition at Borgo degli Artisti starting this weekend. 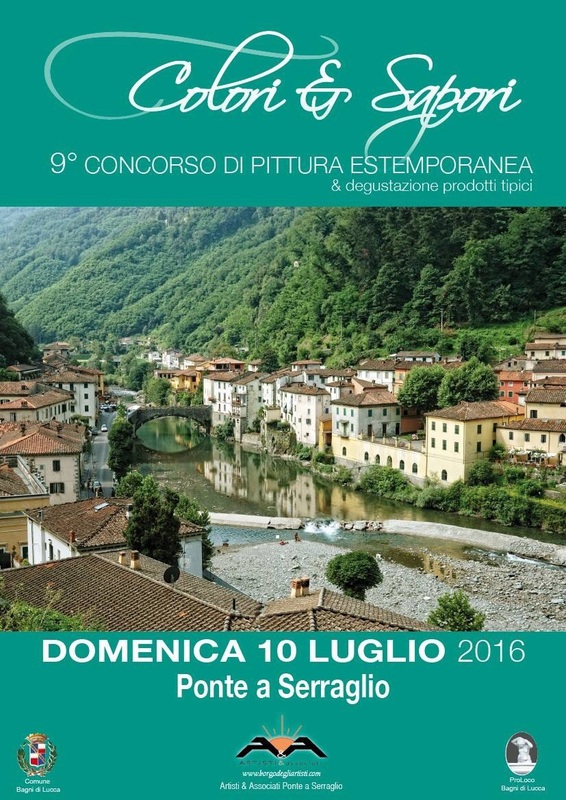 Ponte a Serraglio will be a hive of activity this weekend. 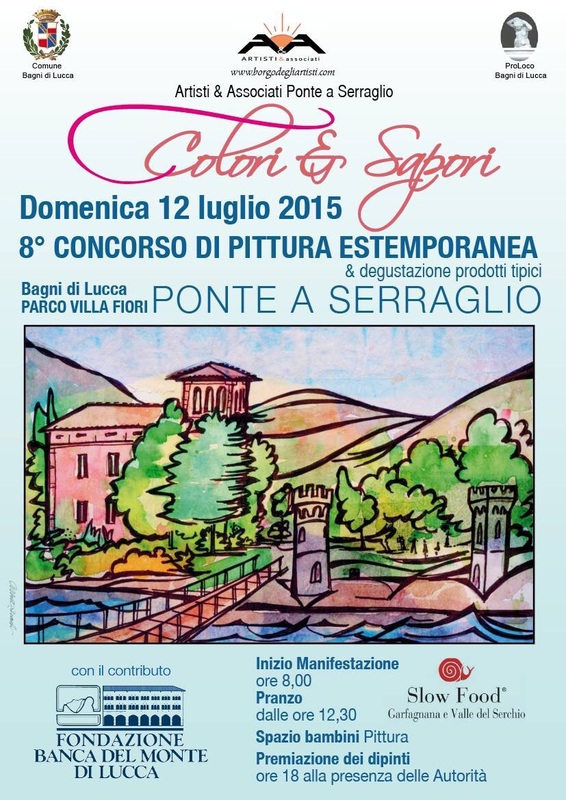 It is almost time for the annual art competition in the park at Villa Fiori. It is bound to be a great day on 12th July. The day kicks off at 8.00 for the participating artists and lunch will be at 12.30pm. Even if you are not an artist it is interesting to watch the artists at work. As well, the main street in La Villa will be closed to traffic on the evening of Friday, 10th July. 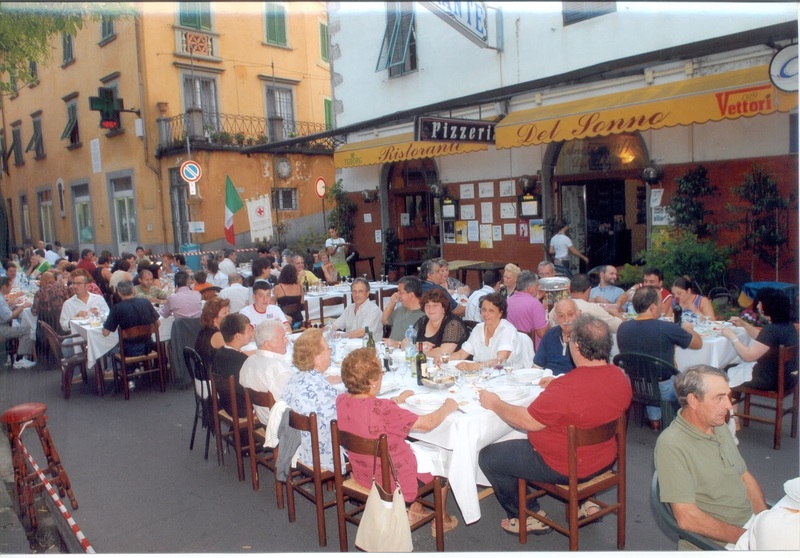 Ristorante del Sonno will have tables in the street for a fun evening. There will only be a few pedestrian only evenings this summer, so make the most of it.